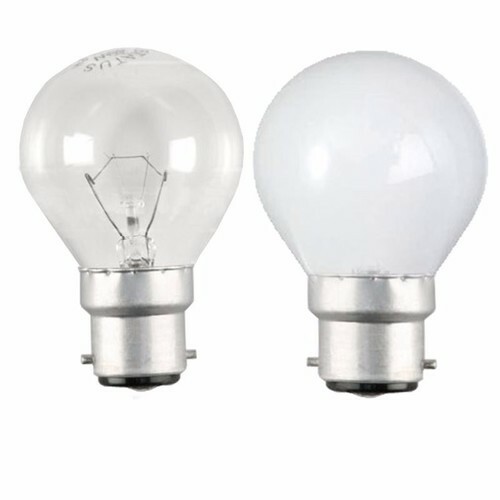 The Status 40 Watt Incandescent Classic Round Golf Ball Tough Lamps with a Bayonet Cap with a choice of Clear or Opal/Pearl Finishes are ideal for traditional home or business lighting in chandeliers, wall mounted lamps and beside lamps with shades, and feature full dimming support. Arrived in good time, well packaged and undamaged. Excellent service from obviously an A1 ebayer. Was unaware that this size of bulb (40 watt)was obtainable and very pleased to have found a supplier. Could not find item in shops,for an old lava lamp.Great when you get email same day to say it's on the way and it arrives 24hrs later.